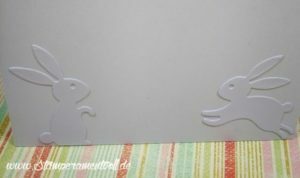 Na, wer kennt das Kinderlied noch? Meine Häschen schlafen allerdings nicht sondern hoppeln über die Wiese. Damit sie sich etwas vom Hintergrund abheben, habe ich mit Copics etwas schattiert. 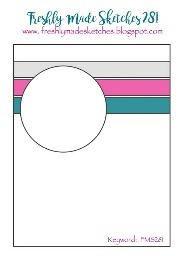 Die Farben stammen von der Color Throwdown challenge und der Sketch ist von Freshly Made Sketches. Well, who still knows this (German) song from the childhood? However, my bunnies do not sleep, they scamper over the meadow. To make them stand out from the background, I shaded the bunnies with Copics. The colors are from the Color Throwdown challenge and the sketch is from Freshly Made Sketches. This is adorable! 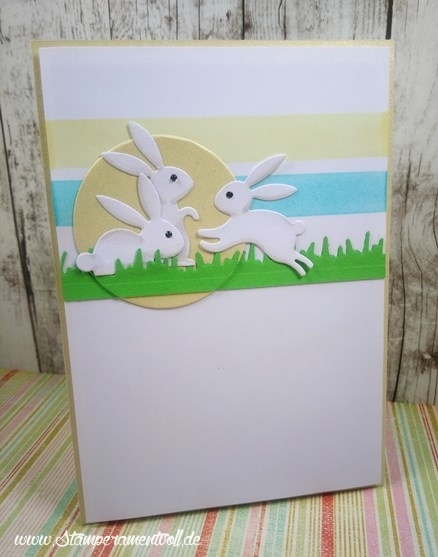 Love those sweet bunnies! Glad you joined us at FMS! What a sweet card! 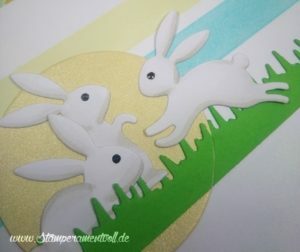 I love those little bunnies! So cute! Perfect for Easter! Thanks for joining us this week at Freshly Made Sketches! Springtime fun! This is so sweet! I love your card! Thank you for sharing! Just adorable!